As it builds the Grand Ethiopian Renaissance Dam (GERD) on the Blue Nile, one of the two main tributaries of the Nile River, Ethiopia looks forward to producing a significant amount of hydropower, which could boost regional energy security and job creation. At the same time, there’s concern that the filling of the GERD reservoir could reduce the reliability of Nile River water flowing downstream to Egypt, posing a serious risk to its economy. To quantify this risk, MIT Joint Program Research Scientist Kenneth Strzepek; Joint Program Research Affiliate and Industrial Economics, Inc. Principal Brent Boehlert; and International Food Policy Research Institute (IFPRI) Senior Research Fellow Sherman Robinson linked a computable general equilibrium (CGE) model of Egypt with a water system model that includes hydropower generation as an output to form a dynamic water system-economy modeling framework. Applying this framework, they evaluated the potential effects of different GERD-filling policies on Egypt’s hydropower and irrigation water supply, and on its GDP and wages. The researchers concluded that fill policies under consideration are not likely to cause significant adverse impacts on Egypt’s economy, and that a more rapid fill policy would likely result in higher Nile-wide economic benefits. 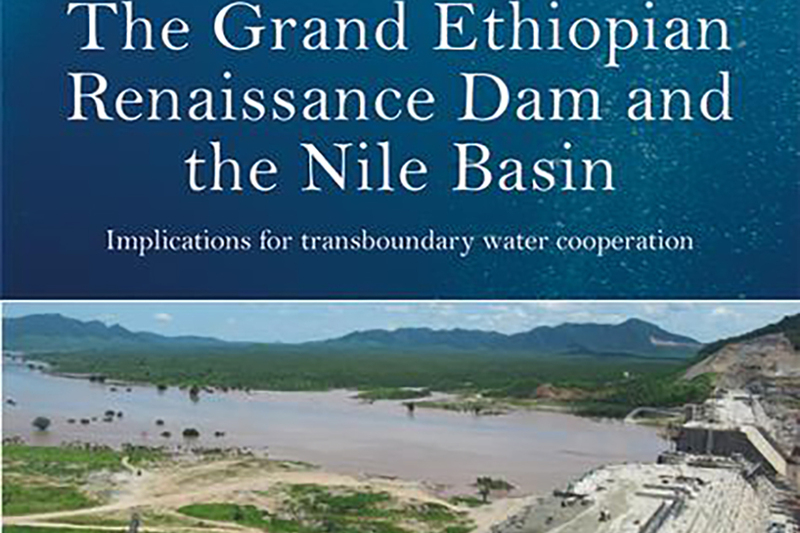 The study is published in “Analyzing the economy-wide impacts on Egypt of alternative GERD filling policies,” the seventh chapter of the new book The Grand Ethiopian Renaissance Dam and the Nile Basin: Implications for Transboundary Water Cooperation. The book is part of the Earthscan Studies in Water Resource Management series. The first book to provide a comprehensive overview of the Grand Ethiopian Renaissance Dam project, which is scheduled to be Africa's largest dam. Brings together perspectives from law, environmental science and policy, hydrology, politics, international relations and security. Provides an ideal case study of transboundary water cooperation and conflict in action. The Grand Ethiopian Renaissance Dam (GERD) will not only be Africa’s largest dam, but it is also essential for future cooperation and development in the Nile River Basin and East African region. This book, after setting out basin-level legal and policy successes and failures of managing and sharing Nile waters, articulates the opportunities and challenges surrounding the GERD through multiple disciplinary lenses. It sets out its possibilities as a basis for a new era of cooperation, its regional and global implications, the benefits of cooperation and coordination in dam filling, and the need for participatory and transparent decision making. By applying law, political science and hydrology to sharing water resources in general and to large-scale dam building, filling and operating in particular, it offers concrete qualitative and quantitative options that are essential to promote cooperation and coordination in utilising and preserving Nile waters. The book incorporates the economic dimension and draws on recent developments including: the signing of a legally binding contract by Egypt, Ethiopia and Sudan to carry out an impact assessment study; the possibility that the GERD might be partially operational very soon, the completion of transmission lines from GERD to Addis Ababa; and the announcement of Sudan to commence construction of transmission lines from GERD to its main cities. The implications of these are assessed and lessons learned for transboundary water cooperation and conflict management.